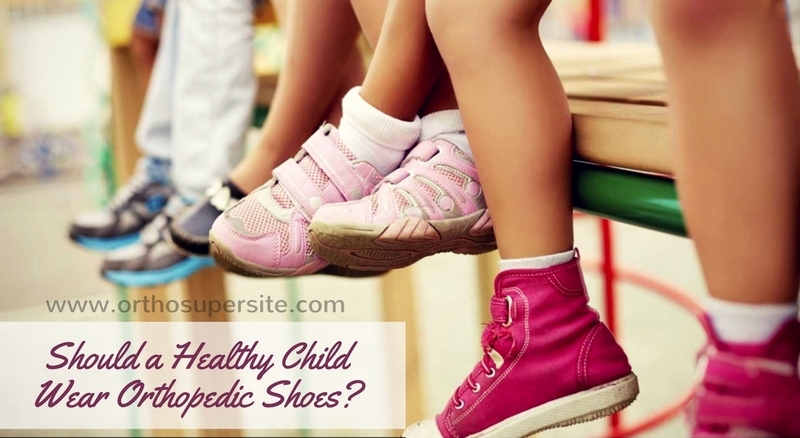 Should a Healthy Child Wear Orthopedic Shoes? Parents are very concerned about how to make the child as comfortable as possible, for him to develop correctly. The matter of shoes comes first here. If the baby was born with the pathology of the foot, then everything is clear, we need special orthopedic shoes. But if you have a healthy baby, should you buy such things? With what joy parents meet every stage in the baby’ life! Here he turned over on his tummy, sat down, tried to stand, and, finally, took the first step. Traditionally, the first step is considered the most significant in the life of the child. And this is justified, the child begins to explore the huge world and slowly forms the personality. Alas, there is no guarantee that such shoes can be found in the nearest store or market. Now, only a few manufacturers of children’s shoes adhere to special medical standards. In the old times, this was strictly controlled and the shoes were high quality, although, of course, not very beautiful. So, the only worthy alternative is a special orthopedic footwear. It is designed specifically to take into account the development of the child’s legs. Orthopedists are convinced that the right footwear should necessarily have a hard back, a small, 0.5 cm high heel and a stiff sole. When contact with a hard surface (floor, asphalt, etc. ), the arch of the foot in the orthopedic footwear is not injured, so doctors recommend walking in such shoes even at home. The most important thing is an insole, thanks to which pressure on the foot is distributed correctly. With its help, those muscles that previously did not work, are also involved. Up to two years of age, children’s foot bones are soft and flexible, similar to cartilage, and the longitudinal arch of the foot is flat. This is a normal state, because the bone tissue of the child contains not enough mineral substances that give strength to the bones, and the muscular system is only in the stage of development. The foot looks flat, because it has a thick layer of fatty tissue, which, at the same time, is a shock absorber. In the second year of life, children usually start walking and the arch of the foot changes under the influence of physical activity. Since the age of three, muscles and ligaments begin to develop and gradually the height of the vaults increases. Accordingly, the appearance of the foot acquires more usual forms. The process of formation of the foot bones lasts up to 5-6 years of age. And at this age the orthopedist can say with certainty if the toddler has a flat foot. The reasons are various, but, first of all, flat-foot develops due to the wearing of incorrect shoes. Flat-feet also contribute to various injuries of the foot and ankle, excess weight, club-foot, prolonged (for example, as a result of illness) stay in bed, weakened muscular apparatus of the foot (for example, because of rickets), X-shaped form of legs. To prevent flat-foot, a child should necessary wear orthopedic special shoes, and correct insole can absorb the collision of the foot with a hard surface when walking. To prevent flat-foot, the baby should often walk barefoot, but not on a hard surface, but on the sand, pebble, grass. This perfectly strengthens the ligament apparatus. Doctors recommend riding a bicycle, playing mobile games, skiing, swimming, doing massage. A child also should do gymnastics 2 times a day. Orthopedic shoes and insoles must be selected correctly. It should be made of natural fabric, with a wide and stable heel, an elastic sole, without seams inside. Let the child put on shoes on both feet and walk a little. Ask him if he feels comfortable, because the children are too young to assess their condition. You’d better watch him closely. The shoes should be a little bigger than the foot of the baby. If there is almost new shoes after the oldest child, the younger one should not wear it, because there is a risk of incorrect formation of the foot. Leaders in the children’s orthopedic shoes manufacturing are trying to ensure that all footwear conforms to international standards. Thanks to the most modern technologies, such products not only treat, but also prevent orthopedic problems. The special orthopedic insole keeps the toes in an optimal position. It serves as a support for the front and longitudinal arch of the foot, as well as its outer edge; a special recess fixes the heel, while the load on the ankle joint decreases. All the shoes of well-known manufacturers are made in accordance with the recommendations of orthopedic doctors. Using the most modern materials, “remembering” the shape of the legs for even greater stability helps the kids feel full comfort. Therapeutic sandals and shoes with high rigid birches, designed for wearing with individually selected insoles. Children’s orthopedic footwear has a spectacular appearance and air permeability, which makes the baby feel even more comfortable.